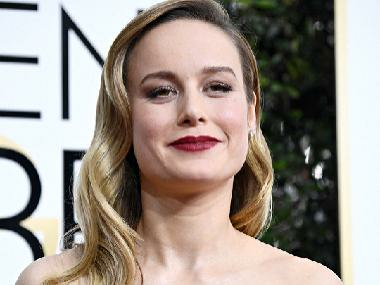 Academy Award winner Brie Larson plays Captain Marvel, the alter ego of US Air Force pilot Carol Danvers, in the first female-led Marvel Cinematic Universe (MCU) film. Set in the 1990s, Captain Marvel will follow the story of Larson's character as she navigates a monumental war between two alien races which transcends galaxies. Just days before the film hits the theatres, Marvel released several new promotional videos. Larson can be seen riding an F-16 fighter aircraft, just like her onscreen character and effortlessly destroying Skrulls with her superpowers. A younger version of Samuel L Jackson's Nick Fury also features in the clips. Disney also debuted a video, featuring Sadie Stanley in the recent live-action remake of Kim Possible. The promo ends with Larson quoting Kim's iconic catchphrase, "Call me, beep me, if you wanna reach me." Captain Marvel, directed by Anna Boden and Ryan Fleck, is slated to release on 8 March.